We have sellers in Lees Summit who call us with a lot of different questions when they inherit or are going to be inheriting a property. In our last post, we discussed what probate is and when a property might need to go through probate. Today we would like to look at what the probate process looks like and when can a house in probate be sold in Lees Summit. First, an Executor needs to be named. This will usually be defined in a will. If there is no will the court will appoint an administrator for the estate. In some cases, we see this is also the attorney handling the probate for the estate. Notify heirs and creditors of the probate proceedings. Take possession of the assets of the deceased and prepare an inventory. Collect all incomes due to the estate, such as interest, dividends, rents and other debts due. If the deceased had a business, manage that and keep it going. 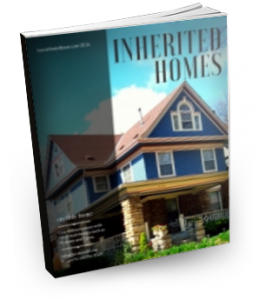 Take an inventory of all the heirs, who they are, where they are and how were they related. If the deceased was party to a lawsuit, see that to completion. Pay taxes and file final tax returns. Pay all creditors of the deceased. Sell assets to raise money to pay taxes and creditors and the attorney and CPA and other expenses of the estate. Distribute assets to the heirs. One of the duties is to sell assets to raise money or to divide the assets among the heirs and the question becomes when can those assets be sold? Contrary to popular opinion the house or houses in a probate case or other items of value can be sold during the probate period, but there is a process that must be followed. If you would rather not wait until probate is complete, you should consult with the probate attorney for the process of selling the property or assets during the process. Roughly what needs to happen to sell during the process is as follows. First: Determine the assets you want to sell. Most often we deal with the house as the asset the heirs would like to sell. Assets that need to be sold could also be stocks, bonds, cars, collector’s items, businesses or rental property. Second: Determine the value of the asset. Stocks and bonds are fairly easy to determine, other assets like houses require expert opinions of an appraiser. Different states have different laws, so if the house is believed to be under a certain value, it may be that the expert opinion of a Realtor would suffice without the expense of an Appraisal. We have seen this several times here in the KC metro. We have been asked our expert opinion on a house that was believed to be under $40,000 and as a small estate, worth less than $40,000 does not have to go through probate, it may be that a house worth less than $40,000 can sell without probate. Third: Find a buyer for the asset. When this asset is a house, you might want to sell directly to a cash buyer to speed up the process or hire a Realtor to maximize the sale price. You will need to weigh your options, which we will review in a future blog post. For other odd items like collectibles or businesses, you may also need to seek out an expert to help sell. Fourth: Petition the court for approval of the sale. In the case of assets under certain values, estates worth less than $40,000 for example, you may be able to sell without court approval. Other times with assets of larger values, like the house, you may need to get court approval. Please consult with your Probate Attorney. Once you have a buyer with an agreed upon price and the approval of the court, you can then complete the sale. This usually means in Kansas and Missouri working with a local title company to manage the sale and the executor and the buyer signing off on all the closing documents. The buyer gets the asset or house and the estate gets the proceeds to split or to hold in the bank to wait out the rest of the probate process. It is important to realize that some assets have holding costs and to consider the asset itself. In the case of a house, it might be financially sound for the executor or an heir to live in the house and pay the holding costs of taxes, insurance, mortgage, utilities throughout all or some of the process, especially if the house is going to be distributed to the heir. But if no one is going to live in the house, and it is ultimately going to be sold, you need to look beyond all those holding costs. There will be other costs because the home is vacant. Insurance on a vacant property is much more expensive than for an owner-occupied home. And because it is a vacant property, someone needs to check on the home from time to time to make sure no one has moved in, there has been no vandalism, the pipes and other items have not frozen, that the snow is removed, and the yard is mowed. It is much less expensive to sell the house and probate the cash sitting in a bank over paying all the holding costs and overseeing the house if the house is going to sit vacantly. Professional Home Buyers like Scott Tucker here at kcmoHomeBuyer specialize in helping people with homes that need to be sold during or after the probate process. Professional Home Buyers will look at the house and make an offer. This offer can be based on a house as it sits, needing all repairs and updates and can include leaving behind all the belongings or can include the heirs cleaning out the house. This offer can close quickly as the seller has no repairs to make and because the buyer does not have to wait for loan approval or it can close on the time frame of the heirs and the probate court. The average home buyer will not have the luxury of time and money like the professional home buyer and the average home buyer may not be willing to deal with property that is in need of major renovation or property that has tenants, should the estate hold rental property. If you would like to sell an inherited property and would like to see what the Tuckers might offer, please fill out our form about your house or give us a call at 816-800-9044! Words cannot express how Kim’s hard work has affected my family. After a death in my family, I was left with a home out of state that had been abandoned and no banks would even claim the loan! 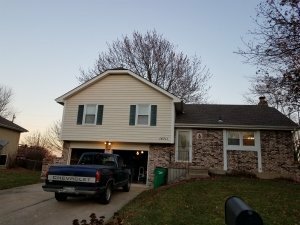 Kim helped me figure out how to determine ownership, what to do about the taxes, and how to clear up the loan status so the property could be sold. She helped me through the process every step of the way, despite my frazzled mindset after losing a loved one. There is no one better, she’s simply the best!